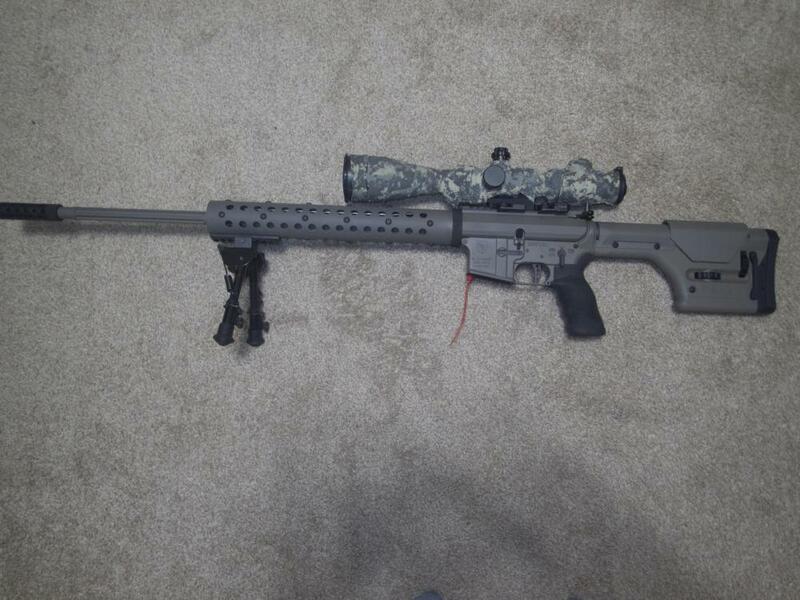 6.5 Grendel Sniper Rifle by Alexander Arms. Precision cut-rifled, 5S rifling, 1:8.75 fluted, free-floated barrel. Beefy side charging upper with extra thick walls to minimize flex with long, heavy barrels. The side charger allows a minimum of movement when firing from a concealed position. The Magpul PRS stock is adjustable for length of pull and cheek height. Standard build features our crisp, single-stage Tactical Trigger as well as MK10 Vented compsite hand guard to aid barrel cooling with the top vents offset from the sight line to minimize mirage. LaRue 30 mm SPR mount and Ergo deluxe grip are standard. This rifle hips in a soft carry bag with 1- 10 round mag.